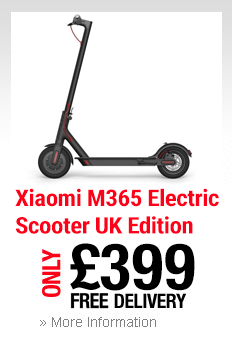 Our range of electric scooters are the perfect combination of speed and style, and offer a great alternative to manual scooters. Save your legs the trouble and upgrade to an electric scooter now! The M488 adult electric scooter is an incredibly ergonomic design, and is made to be simple and easy to use. It features stripped-back, geometric design elements that create a stylish and elegant profile that youâ€™ll love riding. Available in either matt black or white, both with red accents, provides a modern finish to a modern design. The entire scooter is designed with the user in mind, and is very easy to understand. Itâ€™s turned on using a single button, and thereâ€™s an LED indicator to display battery level. You can even download an app on your smartphone to keep track of your battery, riding speed, and distance, so youâ€™ll always have all the information you need. The entire scooter is made from aerospace grade aluminium, so not only is it incredibly durable, itâ€™s very light too. Weighing only 29.6lbs, itâ€™s easy to pick up and carry with you between rides. The materials and finish mean the scooter is corrosion resistant, and has high thermal conductivity. What more could you need from an adult electric scooter. The handles are coated with an anti-slip finish, so youâ€™ll never lose grip while riding. Thereâ€™s an extremely bright LED headlight to keep you safe even when riding at night, and thereâ€™s a bell to warn people youâ€™re coming. The headlights have a power of 1.1W, and the beam can reach up to 6 metres for extra safety. Thereâ€™s also a light on the rear to show when youâ€™re braking, so youâ€™ll never catch anyone off guard. 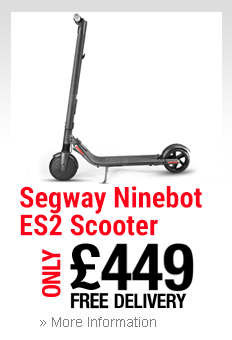 The electric scooter features controlled acceleration; simply give the throttle a gentle twist and continue to apply pressure until you reach the desired speed. There are no gears to worry about; it just continues to build speed gradually. Travel up to 15mph, thatâ€™s 5 times faster than walking. You can even hit cruise control to keep you at a steady speed. And donâ€™t worry about braking. Thereâ€™s an anti-lock E-ABS brake on the front wheel, and a mechanical disc brake on the rear wheel, giving you complete control over when and how quickly you stop. Braking distance at full speed is 13.1ft, which is very short. The M488 has a rechargeable lithium-ion battery that can travel up to 18 miles on a single charge. It only takes about 4 hours to charge fully, so youâ€™ll never be without your scooter for too long. The modern design also features 6 different protection functions, including short-circuit and over-current protections, so you can be sure your scooter is always operating safely. The electric scooter even includes a kinetic energy recovery system, which converts kinetic energy into electrical charge, meaning your battery will last even longer on a single charge. And to make it even better, thereâ€™s also a battery saving mode that reduces the maximum speed, but massively increases battery life as a result. The simple and modern design isnâ€™t only designed to be easy to use, itâ€™s convenient too. The scooter folds up in just 3 seconds using a single lever, and essentially halves the scooterâ€™s size. This makes it perfect for picking up and carrying with you between rides, and means it takes up a very small amount of space when stored. The handlebars lock in place when folded, so you wonâ€™t have to worry about it spontaneously popping open. One of the most useful features is that the scooter is waterproof. Itâ€™s IP65 rated, which means itâ€™s protected against dust and from water spray. This is plenty of protection, and means thereâ€™s no chance of your scooter short fusing by riding through a puddle. Not only are all of the electrical components and wires protected; most importantly the battery is too. The battery is housed in the footplate, and is protected from most damage. The M488 is a great design and makes it brilliant for all ages. Itâ€™s lightweight, easy to use, and ergonomic, and is a great way of nipping around. The powerful battery delivers up to 18 miles of travel time, and is very quick to recharge. 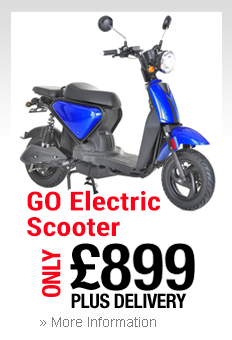 It has all the safety features youâ€™d expect from a modern electric vehicle, and is very durable. 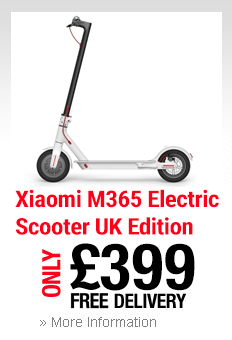 We know youâ€™ll love your M488 electric scooter.